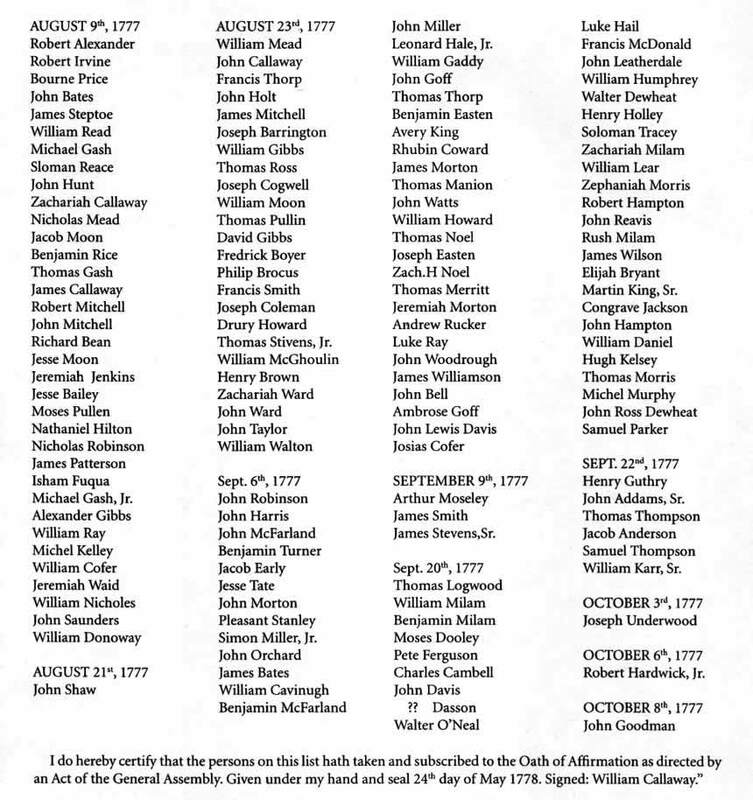 The Bedford County Court on July 28, 1777, proscribed the manner in which the Oath would be administered in the county. William Milam, Benjamin Milam, Zachariah Milam and Rush Milam all signed their signatures on September 20th. At the bottom of the page, Justice Callaway attests to their taking of the Oath.